Darryl Poulsen is principal horn with the Australian Brandenburg Orchestra in Sydney. He is also Professor of Music and Director of Brass Studies at the School of Music at The University of Western Australia. Darryl Poulsen graduated with distinction from the Conservatoria of Luxembourg, and Liège, Belgium in the horn classes of Professor Francis Orval. He holds the degrees of Doctor of Music and Master of Music from The University of Western Australia. He has held principal horn positions in European and Australian orchestras and has performed throughout Europe, North America, South America, Asia and Australia. As a soloist, Darryl Poulsen has toured nationally and internationally with the acclaimed Australian Chamber Orchestra, as well as occupying the position of principal horn in that orchestra for many years. Darryl Poulsen has commissioned numerous new works for horn, had works written specially for him, and given numerous première performances. Darryl Poulsen is also committed to historically informed early music performance, playing both baroque and classical natural horns. As a player of historical natural horns, he has performed and recorded as principal horn and soloist with The Joshua Rifken New York Bach Ensemble, Australian Brandenburg Orchestra, Anthony Halstead, Geoffrey Lancaster, Bart Van Oort, Cantus Cölln and the Syrius Ensemble Sydney. His research into classical hand-horn playing has resulted in the publication of the first English translation of the Méthode de premier et de second cor by Heinrich Domnich, the most important primary source on the history of classical hand-horn playing. 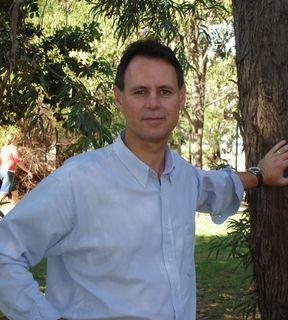 As a teacher, Darryl Poulsen has given master classes throughout Australia, USA, Sweden and Asia. He has attracted horn students to his class at The University of Western Australia from every major Australian city, Switzerland, Moldova and the United States. A number of his students can now be found in Australian and European professional symphony, opera and ballet orchestras.